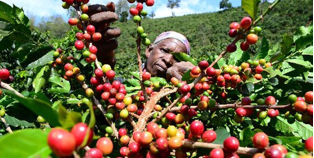 Coffee is the second largest commodity export for Kenya. The sector employs about 1.5 million people in the rural as well as those in the processing factories and packaging, transport, auction houses, retail outlets and marketing. Nearly 98% of coffee produced in Kenya is exported mostly to the European Union, U.S., the Middle East, Canada and South Korea. Opportunities exist in provision of services such as improved crop husbandry and proper pulping, drying, roasting, storage, milling and grading all targeting to improve on high quality. Other opportunities include, value addition and aggressive marketing, investment in growing of the Arabica coffee and manufacturing of coal from coffee husks.